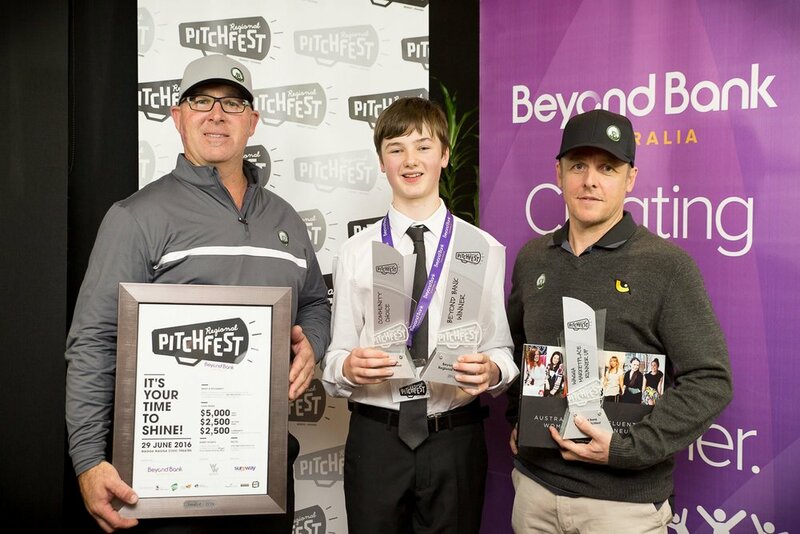 In June 2016, six budding regional entrepreneurs took the stage for the inaugural Regional Pitchfest in Wagga Wagga. Michael Nixon (overall winner and people's choice winner). Michael is a 13 year old Kooringal High School student who is passionate about web design, electronics and 3D printing. 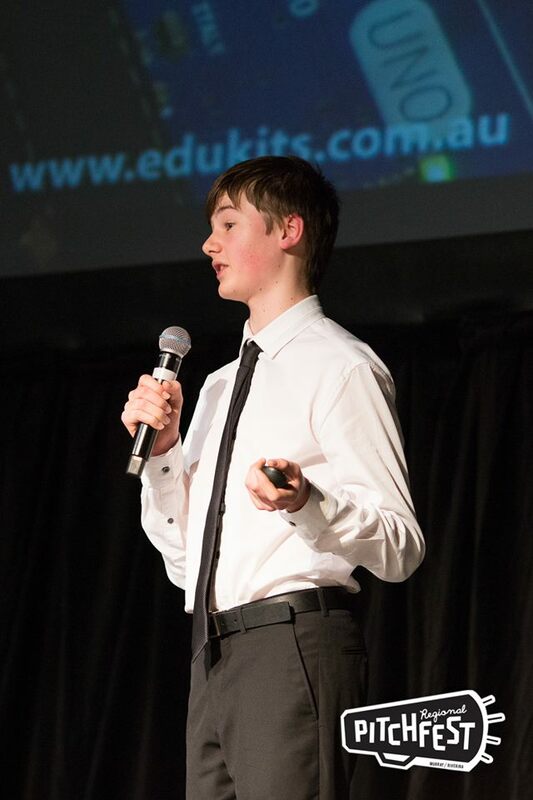 Michael pitched his venture ‘EduKits’ – a business which will sell affordable 3D printers, electronic, S.T.E.M. kits and online tutorials for both home and classroom based learning. 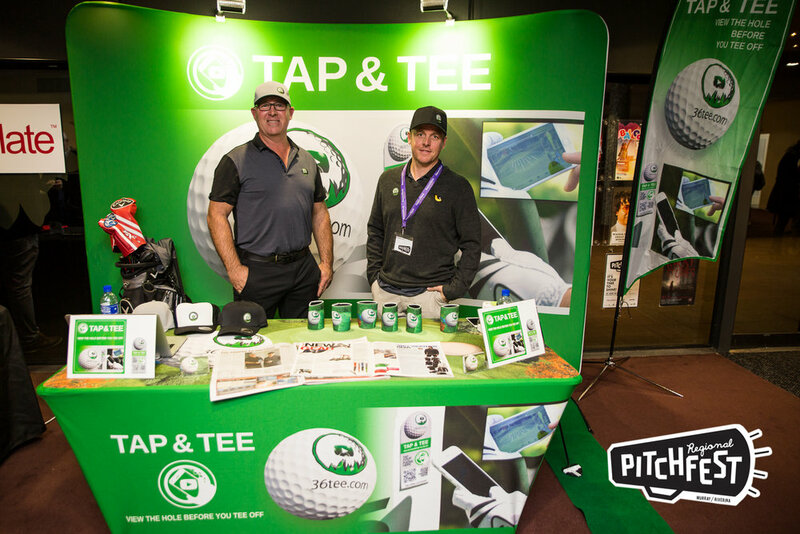 Andy Shuttleworth and Will Hood (overall runners up) of Albury's 36Tee - a new innovative company who have developed a complete visual solution for golf courses and a valuable strategic tools for golfers, with virtual golf course tours. Rod Mafohla - Originally born and raised in Zimbabwe, Rod moved to Australia in 2005 where in his spare time he tinkers on inventions including his Pitchfest entry, a drown-avert non-slip mat that can save toddlers from bathtub drowning. Scott Howie - A familiar face in the Riverina arts scene, Scott has spent 18 years as an artist, arts educator and arts administrator. Scott pitched his idea for a subscription based art service to support local artists. Samantha Brunskill - Inspired entrepreneur, tireless advocate and multi-passionate businesswoman, Samantha pitched her vision for property development which creates a sense of belonging through connected communities and urban design, which turns the traditional profit-focused model on its head. Wayne Jenkins - An educator in heavy vehicle mechanics, Wayne noticed a skills shortage due to the increase in electronics and technical equipment within the industry, and has since worked to create quality video automotive training videos for the heavy vehicle truck market. A huge thanks to our judges Trent Bagnall, Paul Brotherson, Jess May, Liane Sayer-Roberts and Simone Eyles. 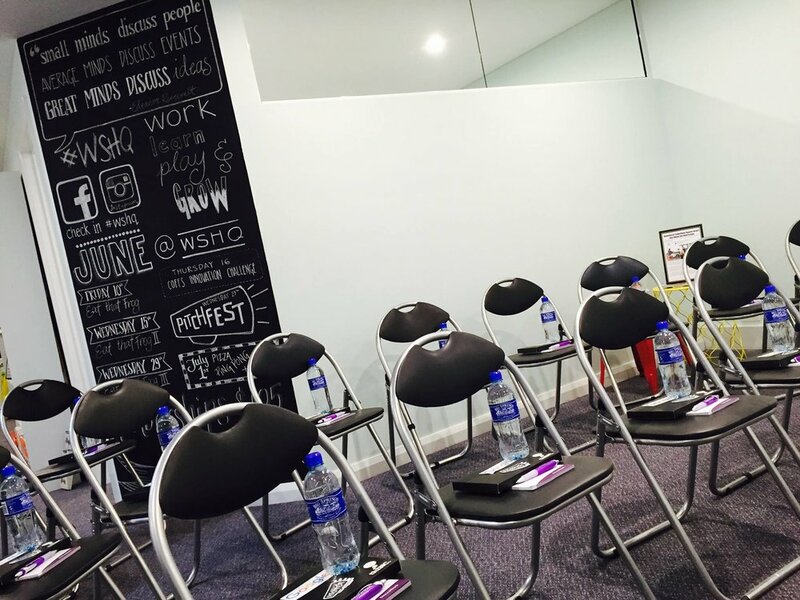 Prior to the main event, our entrepreneurs and innovators received tips and training at our intensive Regional Pitchfest bootcamp.